Most people know that getting on the Guest List for LA clubs increases the likelihood of getting in without a long wait, or getting in at all, but how do you get on the list? Here are some tips to improve your chances. But remember, getting on the list may make it easier to get in, but it’s not a guarantee. It may also eliminate or reduce the cover charge at some clubs and not at others. In some cases, it's the ONLY way to get in, and you still have to wait and pay a cover charge. At most clubs, the list is controlled by the promoter of the night, so on different nights, different people have control of the list. Here are some tips to get on or bypass the guest list. Women have a much easier time getting into nightclubs than men even if they're not on the guest list since beautiful women are considered set dressing and the bait to get paying men into the club. A group with two women for every man has a chance, but it's not unheard of for the men in a group be sent to the end of the paying line while the women are let in. There are also promoters and doormen who will let two out of three girlfriends in and tell the third one she's "not the right look" for the venue. This is one way they're trying to make the clubs "exclusive," they really exclude a lot of people from entering. Totally unfair - and should be illegal if it's not - but that’s what you can expect. Try reading reviews of clubs in advance to see if you're likely to have a problem getting in, even on the guest list. For a group of guys, reserving Bottle Service can be the best way of bypassing the lines and guest list problem. This will get you in the door and a table stocked with a bottle of alcohol for about $200. Bottle Service prices depend on the particular bottle ordered and can range from $175 to $4000. The Reserve Tonight app lets you reserve bottle service at a number of LA clubs from your smartphone, but there aren't that many clubs involved yet, and it seems to only offer the higher-end bottles. They also have a VIP Bar Card that lets you prepay a minimum bar tab in advance, starting at $40 or $50 depending on the venue, letting you bypass the line to get in without reserving a table. Surkus is an app that helps venues and events "cast" the crowd they want at their venue or event. You sign up for the app with your Facebook account, and events and venues that see you as their perfect customer offer you free entry and perks and even pay you to show up when they want. They also cast for TV and movie extras, movie premieres, corporate events and more. 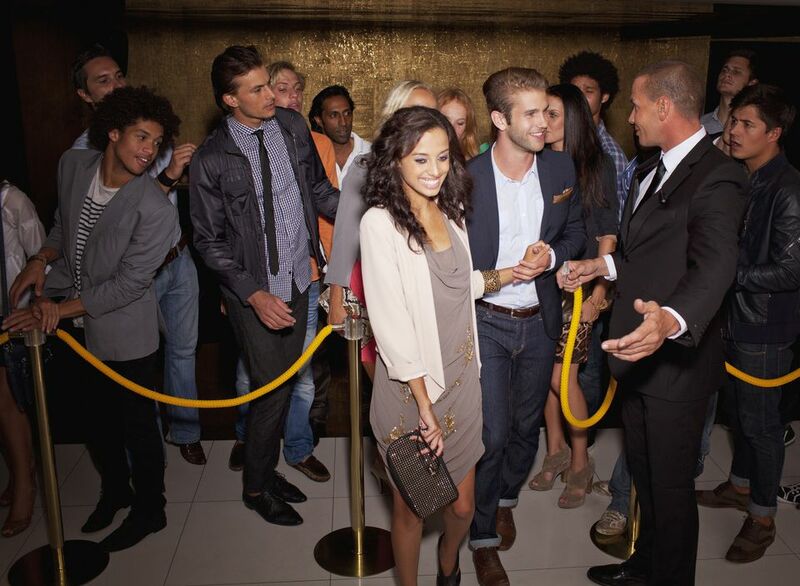 At better hotels, the concierge can help you get on the guest list of certain clubs. If club access is a goal of your trip, call the concierge staff before you book your hotel to see what clubs they have access to. For some clubs, it’s a simple matter of calling early in the evening and asking to be put on the guest list. You may be referred to a specific promoter. Some club websites also provide an email address for getting on the guest list. There are a number of freelance promoters you can find on Yelp, like JR's List or WillWallVIP, who can walk you right into certain clubs, but they tend to be lumped in with party and event planners, dance clubs, music venues, and/or party bus rentals, so they can be hard to track down. Some of the clubs also have a guest list email address on their Yelp profile. It's a long shot, but some promoters provide access to their guest list, especially for new clubs, through postings on the event or services section of Craigslist Los Angeles, but it is somewhat tedious to sort through to find the postings. Searching for terms like “club,” “VIP,” or “guest list” can help narrow down the search. Male or female, you increase your chances of getting in and even getting the cover waived if you're stylin'. Good-looking people are considered part of the decor. If the doorman thinks you'll make the club look good or you look like you have money to spend, he has the power to pull you in front of the line and let you in free, guest list or not.